Airbus Defense and Space has worked with Sion Power Corporation since 2015 to use Sion’s proprietary lithium-Sulfur (Li-S) batteries for use in Airbus’ Zephyr aircraft. 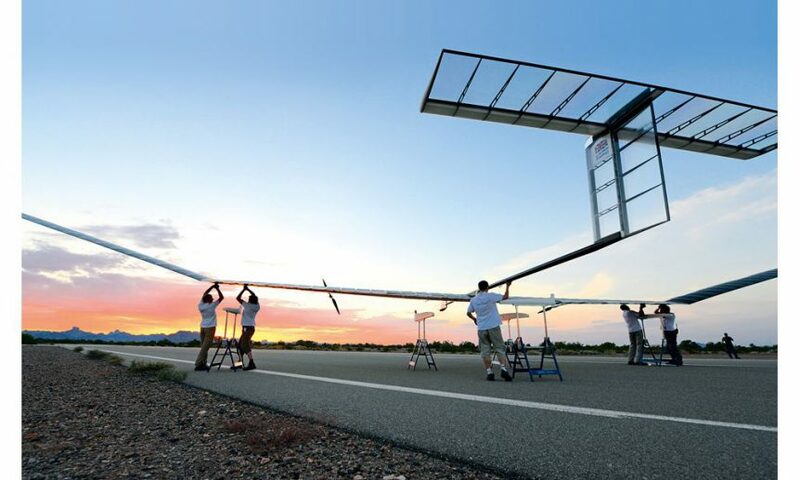 The current Zephyr S is the latest iteration of a series of solar-powered, unmanned aerial systems (UAS) that will fly at 65,000 feet for months at a time. Airbus and Sion have expanded the Zephyr S’ performance envelope to accomplish a 336-hour flight in 2010, and a climb to 61,696 ft (18,805 meter) over the United Arab Emirates in 2014. 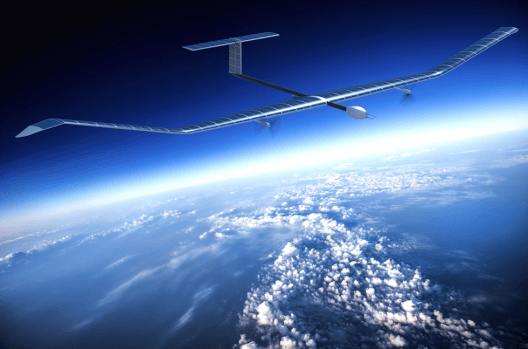 Airbus compares the ability of Zephyr to that of a satellite for persistence at high altitudes. Because the Zephyr family operates at 12-mile altitudes, though, its camera resolution can be as fine as 15 centimeters (six inches), enough to give intelligence officers or disaster recovery personnel reasonable assessments of circumstances. Williams, already involved with aeronautical pursuits such as the high-speed P1e dual motor, contra-rotating propeller Formula 1 race plane, also produces all the battery packs used in Formula E race cars. Williams is developing new structural materials derived from recycled carbon fiber – claimed to be up to 40-percent lighter while being stronger than current alternatives. The amalgamation of Williams’ abilities with Airbus’ project management expertise and increasing use of micro-electronic sensors and cameras could lead to lighter, stronger structures and expanded capabilities for intelligence gathering. That a 25-meter wingspan (82 feet) structure weighing only 62 to 65 kilograms (136.4 to 143 pounds) could be made lighter and still capable of surviving the stresses of flight at altitudes reaching 12 miles will be an enviable achievement. It can carry sophisticated payloads that offer high-definition, NIIRRS (National imagery interpretability rating scales) rated imagery, AIS (Automatic Identification System) – possibly for collision avoidance, narrowband mobile communications systems, and 100 mbps broadcast capabilities. Beyond that, the Zephyr T will be even larger, 32 meters (105 feet) and weight only 145 kilograms (319 pounds). Available in 2020, Zephyr T will carry payloads capable of providing `NIIRS imagery, RADAR, LIDAR, ESM/ELINT, and broadcast communications. Helping lighten the load, Sion Power’s Licerion batteries and Microlink’s “solar sheet” provide lightweight energy storage and generation for prolonged flights. Sion Power claims energy density superior to that of lithium ion cells with its lithium-sulfur packs on the Zephyr series. 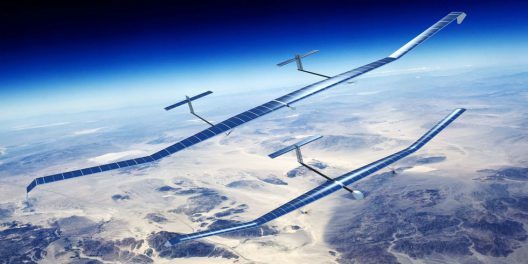 This allows lighter structural weight in Zephyr’s airframe, good enough for Airbus and Sion to sign a three-year partnership to “advance Airbus’ HAPS program. Besides being 30-percent lighter and carrying 50 percent more batteries than its predecessor, Zephyr S benefits from an especially lightweight solar “sheet” rather than a traditional cell or panel. MicroLink Devices has developed a lightweight, flexible, high-efficiency solar sheet that suits area and weight constrained applications such as these drones, which run on solar energy. Microlink lightens the cells by separating them from the substrate on which they are grown. Most solar cells retain the substrate, so this should make Microlink’s cells significantly lighter. The approach reduces the cost of manufacture, as Microlink explains. 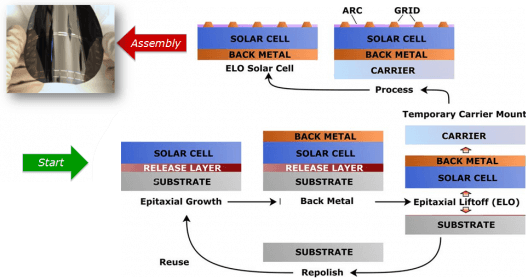 “These high-efficiency, single- and multi-junction GaAs-based solar cells are manufactured using MicroLink’s proprietary epitaxial lift-off (ELO) technology, in which the solar cell structure is removed from the substrate on which it is grown. “The result is a solar cell that is efficient, lightweight, and flexible. The substrate can be reused multiple times, which reduces the cost of the solar cell.” Cells weigh only 250 grams per square meter and are 31-percent efficient, according to Microlink. Airbus, Williams and their suppliers seem poised to continue development of a high-atmosphere pseudo satellite able to provide a broad range of services. Economically, these approaches seem to promise highly effective applications at bargain prices compared to true space satellites.